I sense an innings win for Australia on the 5th day. 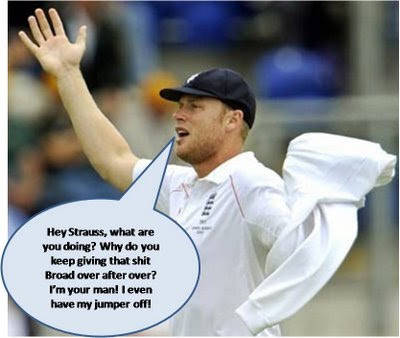 Marcus North and Brad Haddin just shut England up today and further proved what I had to say about the English bowlers. I can't believe how over rated they were before the Ashes began. Marcus North and Brad Haddin managed centuries on their Ashes debuts; I'm not sure who all have managed that - I know Ricky Ponting, Adam Gilchrist, and Mark Waugh have; I know Allan Border and Steve Waugh haven't. I'm sure there are many more cricketers with the same achievement, but its quite an effort from these two. 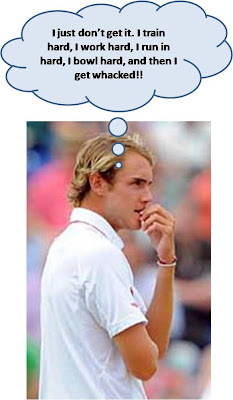 Stuart Broad just keeps getting worse - please someone tell me why he's playing international cricket? North and Haddin put on an even 200 for the 6th wicket; I thought that must have been one of the highest for the Ashes but it was far behind the 1937 effort (346) between Bradman and Fingleton.